lostpastremembered: Asparagus Dip just in time for Spring! Asparagus is remarkable stuff. I have loved the taste for most of my life but never knew how truly great it could be until I grew it in my garden. The 175-year old house that we bought had many wonderful things about it. 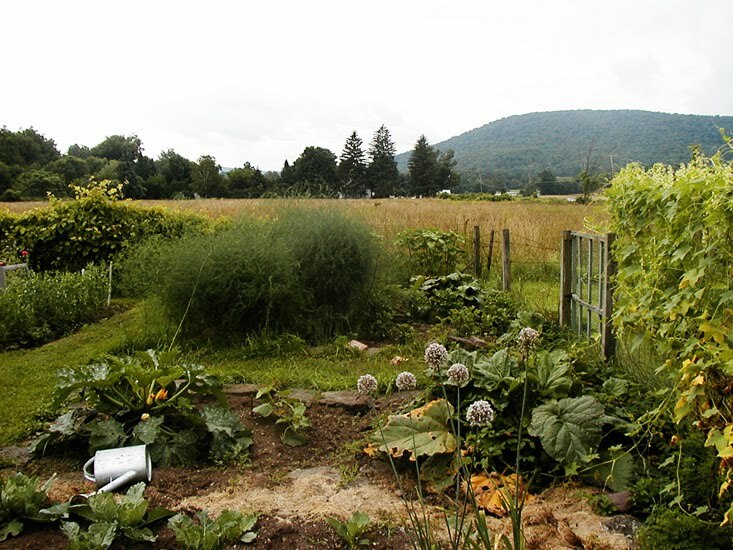 It had a creek, it was set on a river… and it had a very mature asparagus patch! It was overgrown when we took over that August so many years ago but it took to taming and lo and behold on May 6th the next year… there were asparagus poking their little necks from the soil. At first I thought it was a joke being played on me since they shoot up just as they are… but no, they were attached! They need to be picked fairly regularly for 1 month. 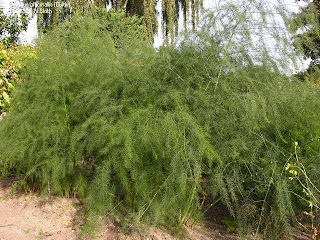 After that the asparagus must be allowed to bolt and make lovely asparagus ferns to nourish themselves for the next season. It takes a few years to get a bed going and the plants need to be dug very deeply to be most successful. It is a good deal of work but the result will be worth it and will continue for decades! As any gardener knows, it is the thick stalk that is the healthiest and most flavorful, not the pencil thin stalks. Asparagus.org tells us that it is a member of the lily family and a spear can grow 10” in one day so if you have a weekend garden you can leave on Sunday with a bag of asparagus and a barren patch and return on Friday night to find a forest of 3’ tall specimens! They still can be eaten but will be quite tough as they get closer to the ground. Freshly cut from the garden, asparagus is staggeringly good with not much else but butter and maybe a bit of lemon. I have loved roasting them (500º slathered in olive oil for 10 minutes) since it concentrates the flavor but usually I just steam them. I don’t do dips as a rule… not really much at all. But a have a few that I return to year after year and this is one of them. It doesn’t have a name aside from "the asparagus dip" and I have no idea where it came from… perhaps a NY restaurant years gone by. It is simple and so very good with other vegetables too. Since it’s made with tofu it is a lovely vegetarian dish. Throw it all into the blender and you’re done. This is enough for 1 bunch of asparagus. Do help send Deana to Oxford... click on those ads! That is so cool, I didn't know that, thanks for sharing. I still don't think I could grow it, see as I kill all my houseplants!!! Maybe I should just stick to the farmer's market!!! Awesome!! And they GREW in the garden of your 175 year old house? WOW! It must be a gorgeous home, full of character. The French Bear> I know, the way they grew came as a complete shock to me as did so many things when I began gardening. Once you plant them they are pretty self-sufficient. about 15' x 6' and it grew a huge amount of asparagus! I have a small patch of asparagus, they are just starting to peek above ground, so this recipe will come in handy. I love the pictures...just gorgeous Deana! The asparagus dip sounds amazing, perfect spring flavors, i can't wait to try it! Hi! Thanks for visiting my blog, I love yours too! Homegrown asparagus, how cool! I can't believe it can grow 10" in one day...go Mother Nature! Dip looks delish. Stella> It was so lucky to have it... and I should hope the next place has them.. it's a real effort putting them in! rachana> It is good and vegetarian! Linda> You are so sweet... the roasted asparagus was an old Martha idea... sometimes I sprinkle them with sliced Kumquats and sea salt...MMMM. Glad you like the pics! 5Star>It's good and simple...sorry I missed your contest! Hungry Dog> Amen... mother nature can be amazing! What a lovely dip for spring ! Your photos are just wonderful. I think I'm going to double up on my asparagus purchase this week. This looks really good. I just had asparagus for dinner and have a bunch leftover. I think I'll give this a try. The dip not only sounds delicious, but healthy as well. No guilt there, what could be better. That's a beautiful dip. I'll have to make it for my uncle who is always complaining my dips have too much fat. Or I can tell him to make it himself. 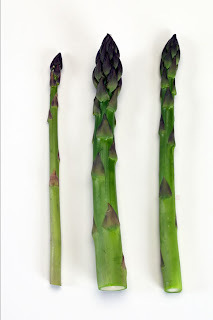 Do you think to color would be a more vibrant green if the asparagus was blanched first? I'm saving your dip recipe - it sounds wonderful! Mary: so glad you like the photos...foodgawker didn't... such is the way of the world... the asparagus are such a great thing to snack on or for a nosh at a party. 2Stews>No guilt at all... I think it's actually good for you! Deanna>As I said I usually steam them about 6-7 minutes from a cold start with a little salt, although the hot oven makes a great tasting spear, they aren't as pretty. If you have them fresh from the garden you could eat them raw or just blanch for a minute or so. Savoring Time> I can't imagine eating wild asparagus.. it must be divine. They do like the sun...you would have to stake out a sunny spot and they get pretty nasty toward the end of summer so they don't look very well... not for a gorgeous perennial bed! Lorraine> I love that our seasons are backwards.. you saw the fall version... it does look like dill but even the delicate looking fronds are tough... I tried them once! I just saw a Ricardo show and was discouraged when they said it would take a few yrs to reap the benefits..Wow..Yours are picture perfect.Asparagus might be one of my favorite vegetables..And they are gorgeous! Sacha> I love chervil and it stayed green under the snow in the winter... so amazing for something so delicate. I love its flavor. The oil is great but probably tres cher in France since it comes from Hawaii! Chow & Chatter> Lots of people don't know about the way things grow (I didn't!) so I thought I'd tell people about it! Blackstar> thanks for stopping by! Barbara> I made so many things with asparagus... including a great lasagna from an Italian friend... thin and so delicious! As for zucchini... they were my nemesis...some grew to many pounds and 2 1/2 feet long... you had to treat them like pumpkins...i even made squash pie! You will love the dip. So easy! LaTabledeNa na> It really does take a few years. If you cheat and try to take them too soon they perish. But after a few years they are sturdy and give you a lot of amazing spears. Some of the first ones are like thick cigars and so flavorful! They don't sell them that way because they don't look homogenous... but boy are they great! I usually just roast my asparagus with olive oil, salt, and pepper, but this dip sounds like a lovely pair with asparagus! faith> I love roasting too, but as I said they don't look as pretty that way... and with a tub of beige... I needed all the green I could get! What a lovely spring dish! Dont asparagus look so cute growing out of the ground. Not used to seeing them outside of the supermarket lol. My new blog went up today and I am so excited. Stop by and check out my brand new and improved site daaaahling. I want to know what you think. I'm also doing a fab give away. HH> congrats on the new site. it is fab... and I look forward to more visits!!! A house that comes with fresh asparagus is a good investment. You can grow your own asparagus? Color me jealous. Sounds delicious! Sanura> you are so right... I got thousands of dollars in stalks out of that patch. I was sad to leave it! Becky> One day, perhaps again... only urban now! 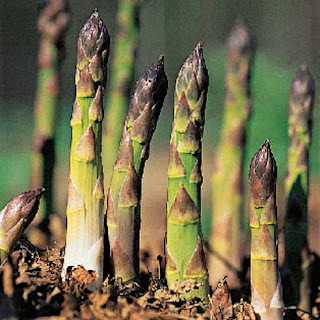 Asparagus in your garden ! Oh chapot... no more garden... but one day, perhaps again! Oh how I wish I could see asparagus grow in from the ground! It must be so neat! The dip for the asparagus looks fantastic! How cool, I wish I had space to grow my own asparagus. I don't usually make dips either, but this tofu dip sounds quite special. Freshlocalandbest> the dip is fantastic and there is nothing like asparagus still warm from the sun thrown into a pot and cooked. Y> I miss that patch... it was special and delicious for that 1 month a year. What an awesome asparagus patch. And thanks for visiting our blog today: you might miss brooklyn, but man am I jealous of your garden. Oh I miss my garden more... it was great.